In Town you may stroll at the historic St. Mark's Square and visit the Solomos & Kalvos Museum which is also their Mausoleum. There are kept original artifacts of the island's gentry along with their seals. At the nearby Solomos Square with all the neoclassical buildings you may visit the Byzantine Museum and marvel at the old icons and frescoes that survived from the medieval churches which did not survive the disastrous earthquake of 1953. 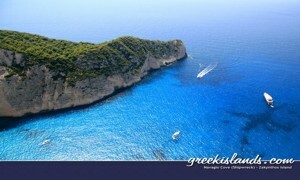 On Zakynthos you will find the mountain villages and those of the plains besides those by the sea-side. In between the sharp edged rocks, the white sand and the turquoise water bays the Caretta-Caretta sea-turtles find refuge to reproduce. The beaches of Lagana(8km) and Geraka(17km) are welcoming them every year when they come out at night to lay their eggs. The mountain villages (Keri, Lithakia, Maherado, Koiliomeno) are famous for their true Zakynthian hospitality and you will surely enjoy the local gastronomy and unsurpassed wine tradition. Local dishes, cheases, cold meat cuts and the special sweets but most of all the semi-dry wine (mastelado) of the area will stay with you for a long time. Sgantzeto, pantseta, ladotyri, chiromeri, mantolato & pasteli are some of their names you must remember when coming. The Monasteries is another point of interest that should not be forgotten. There history and worship along with the special Zakynthian way of chanting will lift you to another dimension. Frescoes, old icons make the simplicity of the Nuns & the Monks regal. On this island everything is different, the musical stories sang at the tavernas, the historic wineries, the stalactite & the blue caves, the sight of the "ship wreck" sunk in the sand now, the cave of St. Damian and so much more you must explore for yourself. Alikes and Alikanas beaches connect to form one long sandy beach (approx 3 km long). 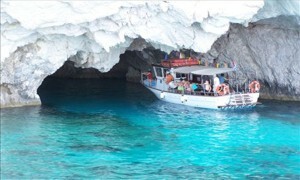 These beaches are in the north east of Zante and the famous blue caves and shipwreck are easily accessible from these resorts. Alykes is a small friendly resort with a wide variety of bars, restaurants, tavernas, shops and supermarkets, most of which line its one main street. This is a popular resort for families and couples, many visitors return year after year thanks to its good climate, gorgeous beach and also verdant mountain scenery. The beach at Alykes is suitable for swimmers of all levels and is safe for children as the water gently shelves and is shallow for a long way out. Alykanas is a resort surrounded by olive groves and with much green scenery. There are several bars, tavernas and restaurants, sure to suit all tastes! Alykanas is well known for having several restaurants that specialise in fish dishes. Many tourists find the short easy walk from Alykanas to Alykes enjoyable, meaning that the facilities of both resorts are very handy. Approximate transfer time from the airport: 30 minutes. Approximate transfer time from Zakynthos town: 20 minutes. Argassi beach is located in the south east of Zante, in a resort of the same name. The beach is sandy and has numerous coves in the vicinity to explore and watersports are available for the adventurous! The resort is fast becoming one of the most popular on the island but it has managed to retain its character as well as offering a superb selection of shops, discos, restaurants & bars, as well as traditional Greek tavernas. Children will find lots to keep them occupied in this resort as there is mini golf, a fun castle, and animal farm to name just a few of the things the kids are sure to love! This resort although lively has some quiet areas and as such is suitable for everyone: families, couples and youngsters - all are sure to have a wonderful holiday staying here. Approximate transfer time from the airport: 15 minutes. Approximate transfer time from Zakynthos town: 5 minutes. Bouka is just north of Tsilivi and near Tragaki. The beach at Bouka is charming; it is a small sandy beach with crystal clear water. The main attraction of this beach is that it is uncrowded, ideal for those who like to sunbathe or swim in peace. Other larger beaches are easily accessible and watersports are available from the bigger beaches in the area. Bouka is a small, quiet resort with a quaint little fishing harbour. This resort has managed to keep its Greek traditions and tranquillity despite being so close to the busier resort of Tsilivi and also only 15 minutes away from Zante town. Anyone seeking a place for relaxing and unwinding is sure not to be disappointed by staying here. Approximate transfer time from the airport: 25 minutes. Approximate transfer time from Zakynthos town: 15 minutes. Gerakas is often billed as the best beach on the island and any visitor can immediately appreciate why, the beach has also been voted as one of the top beaches in Europe by The Times Newspaper. Surrounded by natural beauty its peacefulness adds to the charm of this sandy beach. It is a long bay of golden sand, with shallow safe waters and low cliffs giving the beach shelter and a sense of seclusion. This beach is not just a favourite with human visitors, as it is also where the endangered Caretta Caretta sea turtles lay their eggs and because of this the beach is part of the National Marine Park and visitors are asked to be careful so as not to disturb any of the turtles eggs. Watersports are not available at this beach for the protection of the turtles. Two tavernas at this beach amply cater for all your refreshments needs. Approximate transfer time from Zakynthos town: 25 minutes. Laganas is the most popular beach on the island as it is also in the liveliest and busiest resort. The magnificent beach is a long 5 km stretch of soft golden sand, which gently shelves into the clear warm water. This beach is part of the National Marine Park , which works to protect the endangered Caretta- Caretta sea turtles which nest their eggs on this beach. Some watersports and boat trips are available to see the turtles, but the watersports are kept at a minimum to avoid disturbing the turtles. 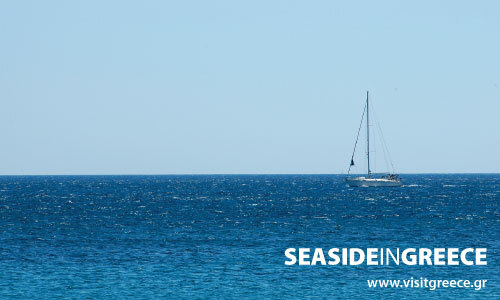 There are many beach bars, restaurants and tavernas lining this beach and shops are also within easy reach. A great advantage of this resort is that it is very flat so all amenities are only a short and easy walk away. Approximate transfer time from the airport: 5 minutes. Approximate transfer time from Zakynthos town: 15 minutes. 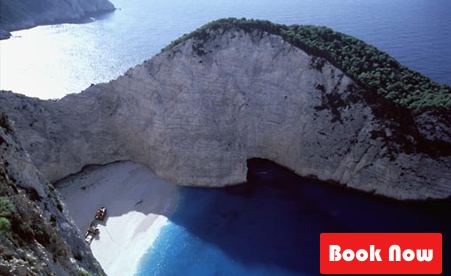 Navagio means shipwreck in Greek but this beach is also often known as Smugglers cove. 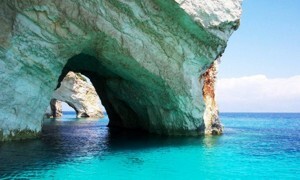 It is the most famous sight on Zante and one of the most photographed beaches in the world. This beach is only accessible by boat, but can also be viewed from a viewing platform which looks down on this picturesque beach. The story of the shipwreck is that it was a coaster carrying contraband cigarettes and alcohol and while being pursued by the Greek Navy in bad weather it was wrecked and washed up on to the beach. White pebbles and a small stretch of sand comprise this beach which is surrounded by gorgeous turquoise water - the colour has to be seen to be believed. 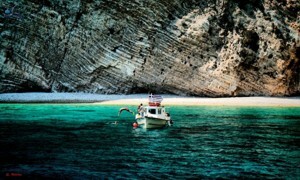 No trip to Zante would be complete without visiting the Shipwreck, a definite must see on any holiday! Porto Koukla is considered to be one of the best beaches on Zante, it retains a traditional Greek flavour and has an air of tranquillity perfect for anyone wishing to unwind while sunbathing and swimming with stunning surrounding in the background. There are a few tavernas and bars, all of which have a relaxed and welcoming feel- ideal for a memorable night out. Approximate transfer time from the airport: 15 minutes. Approximate transfer time from Zakynthos town: 25 minutes. Porto Roma is a picturesque beach in the south east of the island, in an area called Vassilikos. The beach is unspoilt and the whole area remains untouched and undeveloped, ideal for visitors desiring a quiet day at the beach. The beach has golden sand and crystal clear waters and the sand gently selves into the sea, meaning it is safe for children. This beach despite being small still attracts many visitors, but always feels uncrowded and often visitors have the whole beach to themselves (especially before midday!) 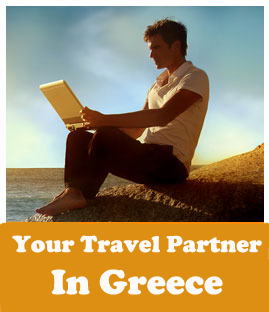 There is a bar and several tavernas near to the beach so refreshments are close to hand. Approximate transfer time from the airport: 30 minutes. Approximate transfer time from Zakynthos town: 20 minutes. Tsilivi beach is an exceptional beach and this has been recognised as it has been awarded the international Blue Flag Award, only given to beaches that meet strict criteria for cleanliness. 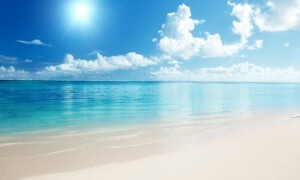 The beach is a long stretch of golden sand which shelves gently into the crystal clear waters, so it is safe for children. Numerous watersports are on offer at this beach for instance, windsurfing, water skiing, banana, pedaloes, jetskiing, paragliding and much more! Approximate transfer time from the airport: 20 minutes. 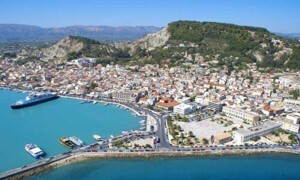 Approximate transfer time from Zakynthos town: 10 minutes. The greater Square of Zakynthos town surrounded by very important buildings like the Byzantine Museum of Zakynthos, the church of Saint Nikolaos on the Mole and the Cultural Center of Zakynthos. Solomou Square, which is dominated by the statue of the Greek national poet Dionysios Solomos, throngs with people on summer evenings, when locals and visitors come here to take a stroll. The statue is situated in the main Square of town, that got his name (Solomou Square). He wrote the "Hymn to Freedom" that become the Greek National Hymn. Welcome to “Askos Stone Park”! Browse this page to collect some information and pictures regarding the activities taking place at the Park as well as the services offered to visitors. “Askos Stone Park” is the place where 170.000 self -sown plants (bushes and trees) grow, exactly as placed by Mother Mature. Hundreds of animals also occupy the same area, living free in their natural habitats. There are wild hawks of many species, many representative mammals of the island, many species of birds, amphibians, insects and other native animals. The park's area contains several stone structures, like old stables, basins cut into the rock for water collection that date back many centuries and a lot of constructions using stone and wood, in harmony with the natural environment. Scientific research organisations (e.g. farming schools) are welcome to the Park for every kind of scientific research, for which they may use the Park's premises or the surrounding area throughout the year. The Askos Park operates throughout the year, except for the days when the weather is not appropriate. There is no time limit for the visitors while the Park is in operation. All visitors are provided with free bottled water. There are guides to the Park, but also a special guide-book which is available in 25 different languages. If one of our visitors wishes to watch or even take part in one of the Park's activities, e.g. to help with the ingathering of olives or the milking of a goat, our staff will help and explain the procedures (if possible or applicable). The Askos Stone Park is located at the north side of Zakynthos, one kilometer from the port of St. Nicholas at Volimes (this is where we take the ferry-boat to Kephalonia island and hire small boats to the Blue Caves and the Shipwreck). The Park is 3 km from the Blue Caves of Cape Schinari, 4 km from the Lighthouse of northern Zakynthos, 5 km from the traditional village of Volimes, 8 km from the world-renowned Shipwreck, 10 km from the nice monasteries of Spiliotissa, Anafonitria, St. Andreas and 30 km from the town of Zakynthos. During the summer months and especially in August, rainfall is very rare, while north winds are very common in this month. These winds, known as "Meltemia" blow from north to south usually starting after 14:00 - 15:00 pm. If you prefer calmer waters for swimming, we recommend you to go to beaches on the south side of the island.